Gloucester, within easy reach of the M5, the Forest of Dean, the Malvern Hills and the Cotswolds, lies on the banks of the River Severn and is the county town of Gloucestershire. Early records of the city date to around the first century AD when it existed as a Roman municipality called Colonia Glevum. Due to its vulnerable location close to the Welsh border, Colonia Glevum was a crucial military base for the Romans, in their fight to keep the Celts from invading. Roman remains were found during the construction of Boots in 1974 and they are now on display in a glass case on the corner of Brunswick Road and Eastgate Street. Gloucester City Museum and Art Gallery also contain Roman remains in the form of two Roman tombstones and a section of Roman wall that is revealed under part of the gallery floor. The museum is also the proud owner of the Birdlip Mirror, a mirror made in bronze for a Celtic chief just before the Roman Conquest. After the Romans came the Saxons, and the current core street layout dates back to the reign of Ethelfeda in late Saxon times. Probably because of the city's location on a navigable river the Saxons developed the town and established Gloucester Abbey (dedicated to St Peter) in 681. Before the Norman Conquest the town was a borough with a castle that was frequently a royal residence and a mint. The town was granted its first charter by King Henry II in 1155, which gave the citizens of Gloucester the same liberties as London and Winchester. In 1085 William the Conqueror commissioned The Domesday Book during a Christmas Parliament held in Gloucester. He also ordered the re-building of the Abbey, which had fallen into disrepair. The rebuilt Abbey was the fore-runner of an impressive Norman cathedral, much of which survives to this day. 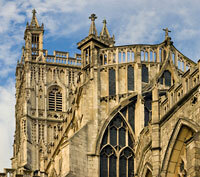 Gloucester Cathedral, which lies to the north of the city near the river, is a feast of history. It boasts the largest surviving stained-glass window in England which was built to commemorate the English victory in the historic Battle of Crecy in 1346. The cathedral is also home to some of the earliest and most beautiful fan tracery in existence. Attached to the Deanery is a Norman prior's chapel and the cathedral, which has been used in three Harry Potter films, is the burial place of King Edward II, who was murdered at Berkeley Castle, Walter de Lacey and Sarah Morley, who died at sea in 1784. Morley, whose tomb was the work of Wedgewood designer John Flaxman, is shown being delivered from the waves by angels. The ashes of Dorothea Beale, the renowned local educationalist who founded St Hilda's college in Oxford, are also kept here, and can be found in the Lady Chapel. King Henry III was crowned here, with a bracelet because he was too tiny for a crown, and in 1555 John Hooper, then Bishop of Gloucester, suffered martyrdom just outside in St Mary's Square at the hands of Queen Mary I, also known as Bloody Mary. There is a monument to John Hooper in the church of St Mary de Lode, which was built on the site of an ancient Roman temple and is thought to have been the first Christian church in Britain. In spite of a reputation for being less than holy, evidenced by old proverb - 'As sure as God's in Gloucester', and the declaration of Oliver Cromwell that Gloucester had 'More churches than godliness', Gloucester was not only home to the first Christian church in Britain but also the first Sunday School, which was founded by Robert Raikes in 1780. Robert Raikes was part of an illustrious family. His father, Robert Raikes the elder (1690-1757), was a pioneer for the freedom of the press and founded the Gloucester Journal, while his brother, Thomas Raikes, was the editor of the very first £1 and £2 notes whilst Governor of the Bank of England. 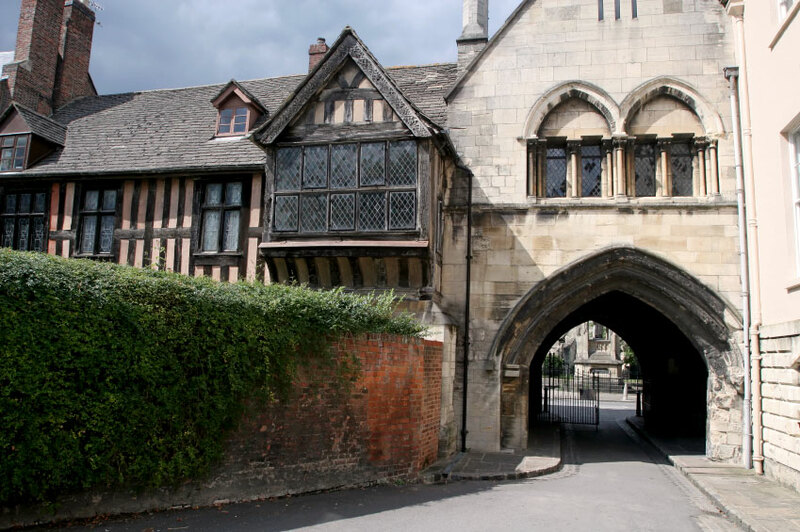 There are several fine Medieval and Tudor buildings in the old area of the city around Gloucester Cross. Two of the finest were inns, of which the New Inn on Northgate Street is particularly interesting. It was built in 1450 by Abbot Sebroke for the pilgrims who came to visit King Edward's tomb and it was from this inn, which still retains its cobbled courtyard, that Lady Jane Grey was declared queen. On nearby Westgate Street is the Fleece Hotel, which still has its 12th century vaulted cellar. Also on Westgate Street is the four-storey Maverdine House, which was home to Oliver Cromwell's commander, Colonel Massey, during the English Civil War. Massey was successful in helping to overcome troops led by the king himself in the 1643 month-long Siege of Gloucester. Against all the odds the parliamentarians won the battle and thus, eventually, the war. Gloucester's importance as a trading centre was largely due to its situation. It is linked to the Severn estuary via the Gloucester and Sharpness Canal, which allowed unfeasibly large ships to reach the docks. The neglected and rundown wharfs and warehouses, left over from Gloucester's time as a significant port, were renovated in the 1980s. 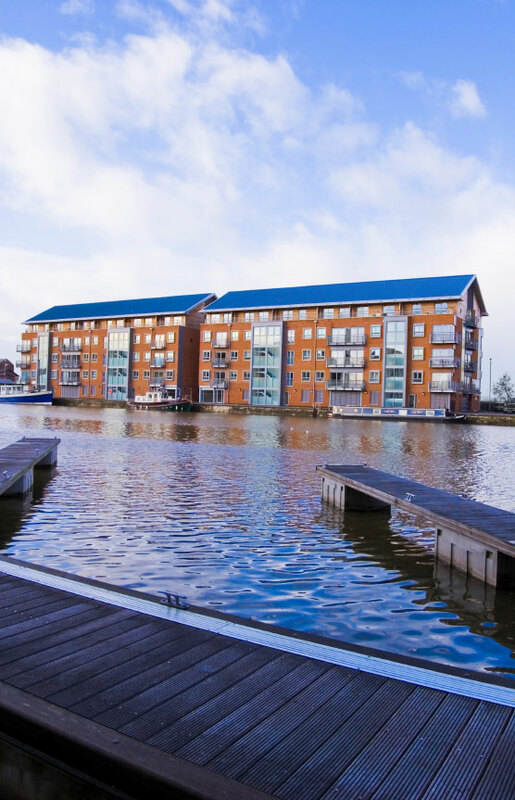 Many of the attractive Victorian buildings have been converted into luxury apartments, shops and bars and the newly renovated docks also house several award-winning museums. One of these, The National Waterways Museum, occupies three floors of a beautiful warehouse and tells the story of three hundred years of Britain's canals. The museum, whose exhibits include films, hands-on displays and floating historic boats, is entered via a lock chamber with running water. The port is still home to the most inland R.N.L.I lifeboat in the country. 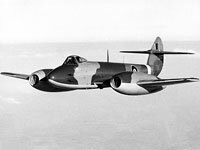 Gloucester has had a long history in the aerospace business most notably through the Gloster Aircraft Company (note the spelling). A sculpture in the centre of the city celebrates its long aviation history and involvement in the invention of the jet engine. Several aerospace manufacturers still have their headquarters in Gloucester today and a hangar at Gloucester airport was until recently home to the Jet Age Museum, whose exhibits include a Meteor and a Javelin. 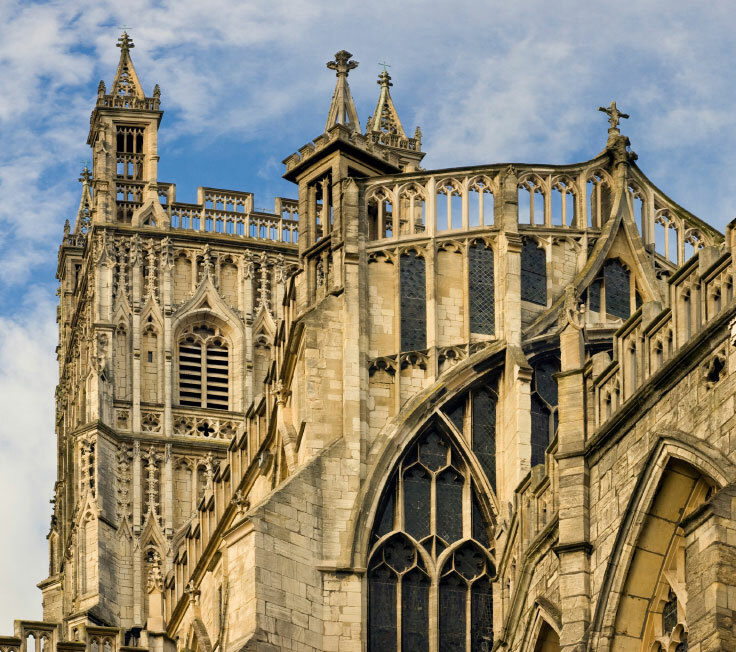 On a musical note, Gloucester, along with Hereford and Worcester, plays host to one of the oldest music festivals in Europe, the annual Three Choirs Festival, which originated in the 18th century. It is held in Gloucester every third year, with the next hosting due to take place in 2010. In 2007 the citizens of Gloucester were treated to a taste of their history when severe flooding left the entire city and its surrounding area without power for twenty four hours and without water for over ten days.